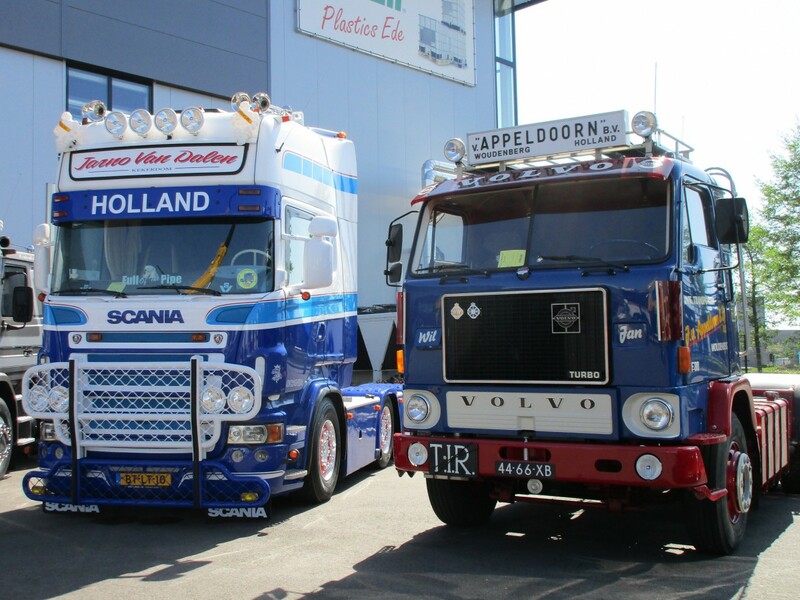 Scania and Volvo, the renowned Swedish manufacturers of heavy trucks and tractors. Both developing and producing top-tier machinery with an excellent reputation and image in the world of trucking, for decades at a stretch. All of the major components (engines, transmissions, axles) are in-house products. The Swedes, with their 16+ liter engines, also literally outpower all competitors. 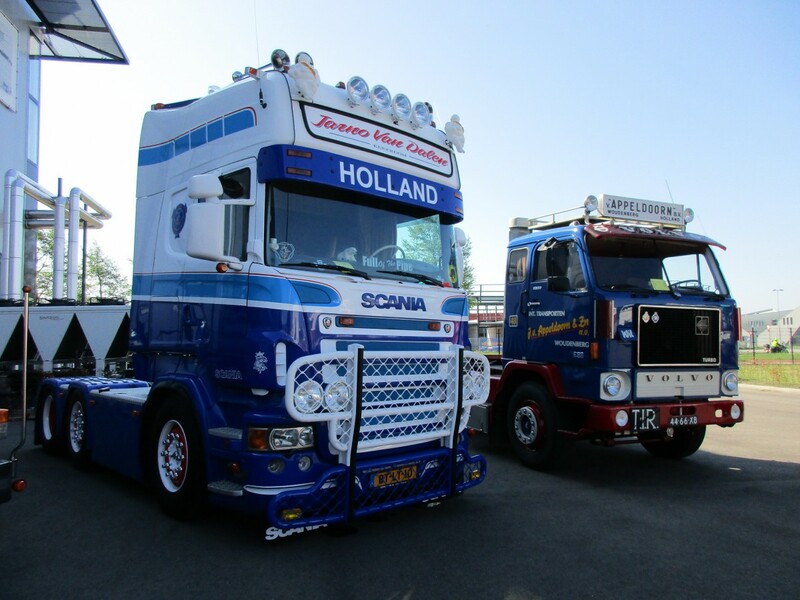 A senior Mr. Volvo and junior Mr. Scania were parked next to each other at the truck show I recently visited. That’s a good opportunity to visualize the evolution of the European cabover, more specifically the long distance tractor unit. 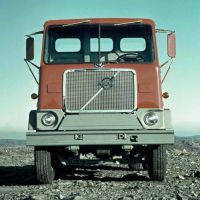 Starting with senior; the Volvo F88 was introduced in 1965, exactly 40 years prior to the launch of the Scania R-series. It was this model that started the rock-steady global growth of Volvo. 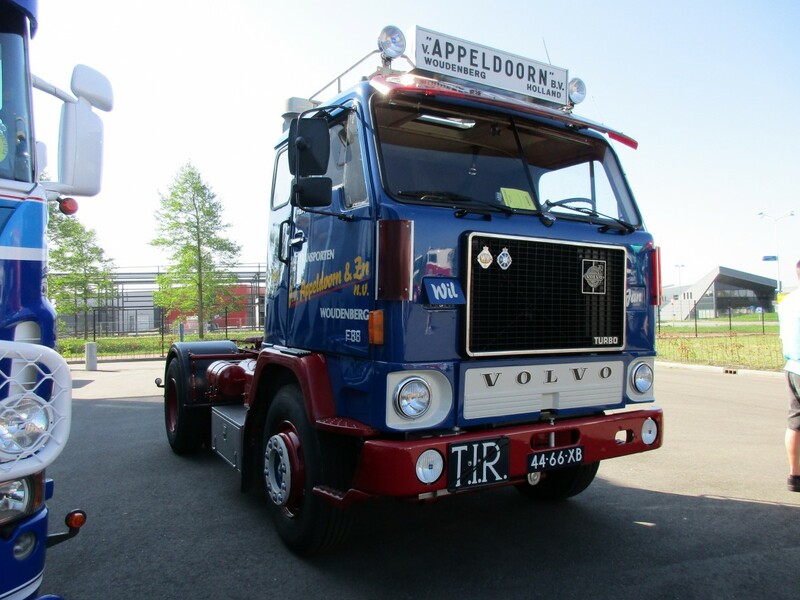 Currently, Volvo Trucks is the world’s second largest manufacturer of heavy trucks, after Daimler Trucks. The 1977 tractor is powered by a turbocharged 9.6 liter inline-6 engine, maximum power output 260 DIN-hp. It’s all dressed up with period correct accessories. 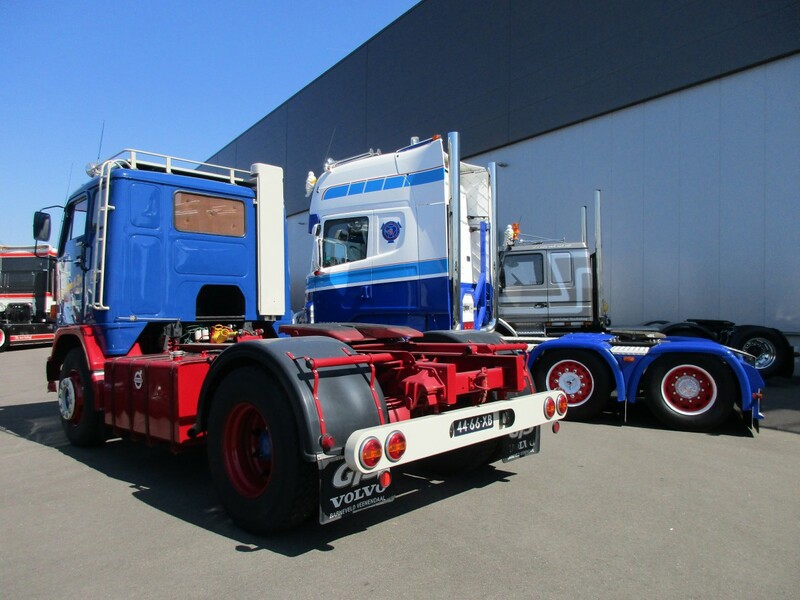 In the seventies comparable 4×2 tractor units were also used to haul freight from Northwestern Europe to far and exotic destinations, like the Middle East and Africa. 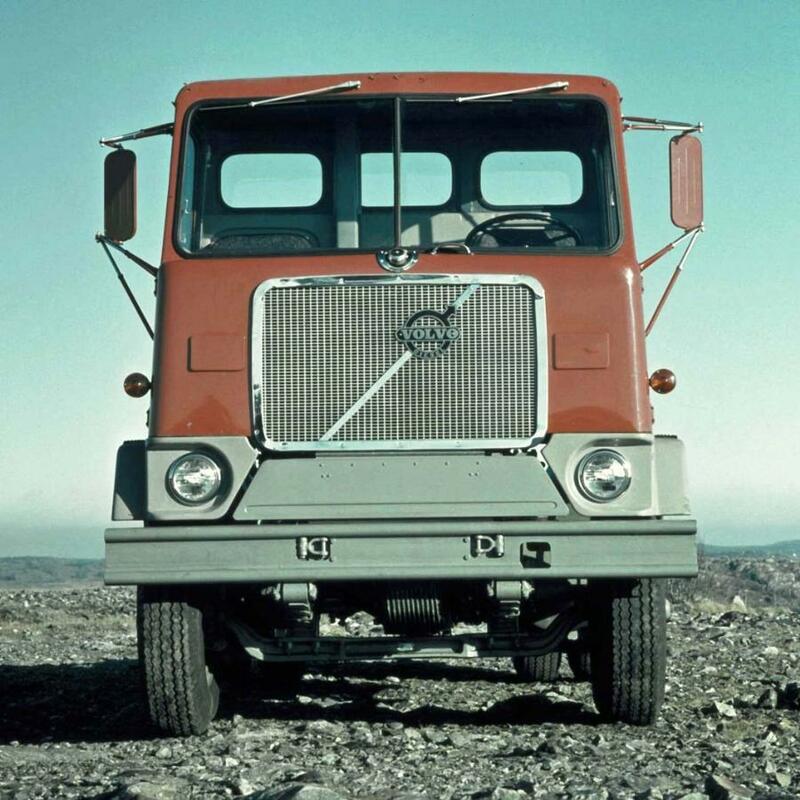 A more powerful Volvo F89, with a turbocharged 12 liter inline-6, was introduced in 1970. In 1977 the F88 & F89 were replaced by the completely new F10 & F12 models, so this article’s F88 was built in the last year of the series’ production run. The most striking difference between these two is the size of the cab. Over the years the driver’s compartment grew wider, longer and especially much, much taller. Needless to mention that the levels of comfort and ergonomics also improved massively in the 1965 to 2005 time frame, let alone the maximum power output and torque numbers. Typically a long distance tractor has a 500 to 550 hp engine these days, displacement around 13 liter. And now to the younger Viking. 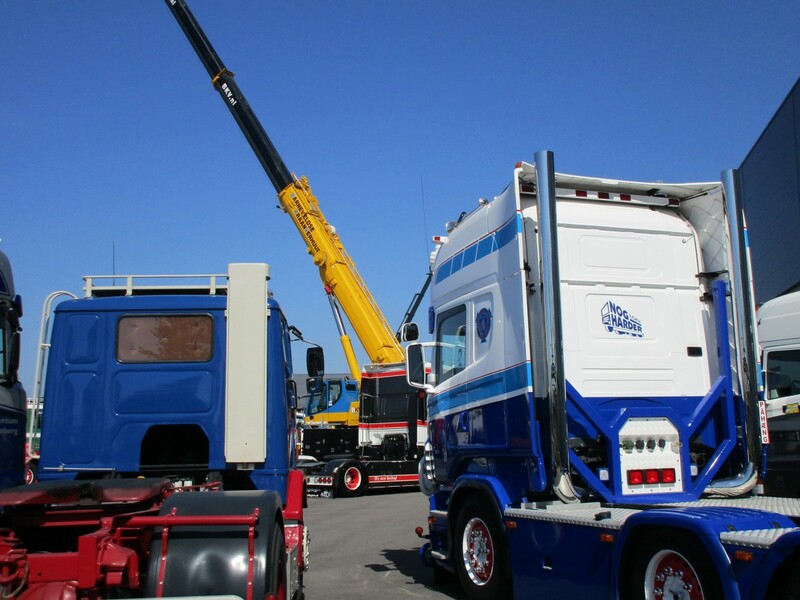 The Scania’s Topline cab is 3.86 m (152”) tall, an adult can stand up straight in there. The steering and liftable pusher axle is widely used on European tractors. The power unit is a 500 DIN-hp, 15.6 liter V8. 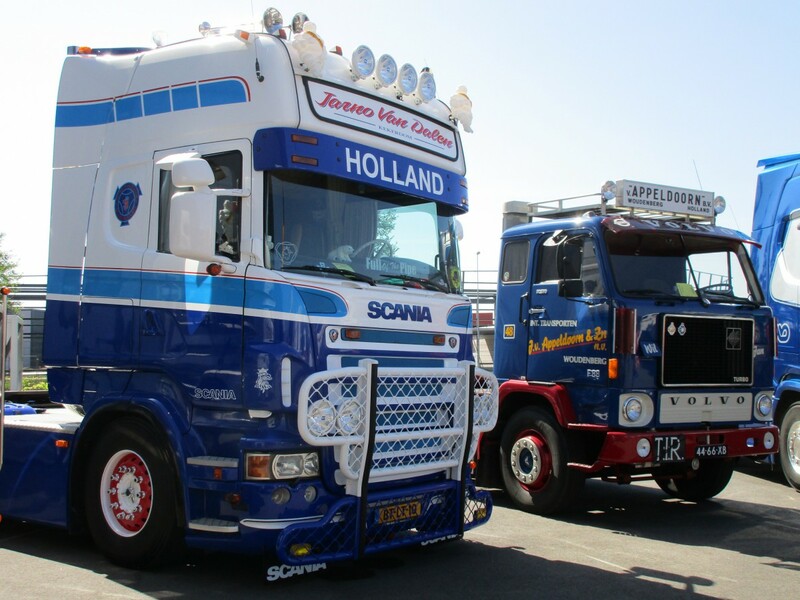 At least in Europe, Scania is the only truck maker left that offers a V8. Currently with 16.4 liter displacement, which makes it also the biggest engine. Not to forget, the immensly satisfying V8 blurb from the Scania, especially going full throttle going up a hill. It sounds like an American big block V8, only about twice as much. It has a very unique and instantly recognizable sound, you can not mistake it for anything else. I think so too, but I still turn my head if I hear a scania v8 with straight through pipes. Ive driven a few Scania V8s, nice comfortable trucks to drive and eerily quiet, you cqnnot hear the engine in a RHD version, thats the main difference between American and European trucks comfort and quiet, American trucks give a terrible ride on any road thats less than dead smooth and the noise and vibration is awfull for the driver. 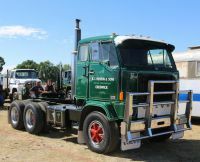 American trucks to a large degree, especially the most desirable heritage models like the Kenworth W900 and Peterbilt 389, still seem to follow the same philosophy that they always have and which American cars have also followed for many decades: Make up for a lack of sophistication in size. 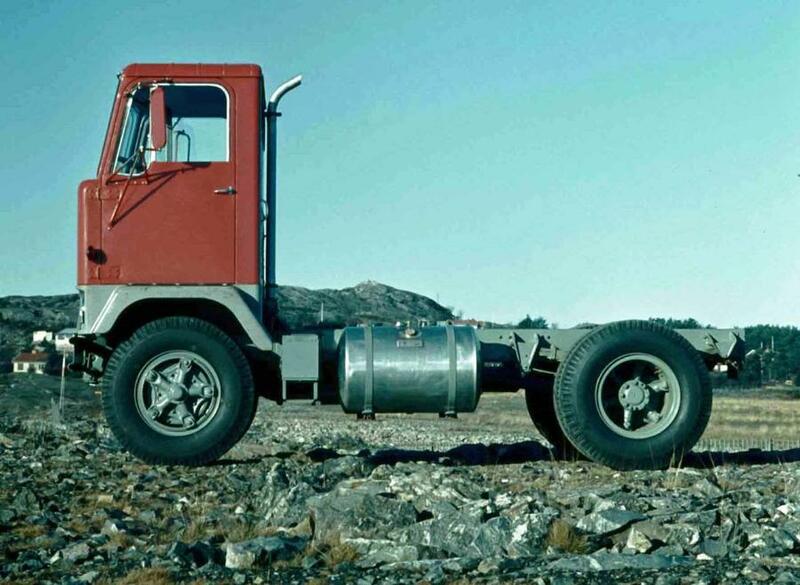 Why bother with expensive air suspension kajiggers when there are no length restrictions, just make the wheelbase nice and long and bolt the cab to the frame inbetween the axles and the ride will be reasonably smooth. 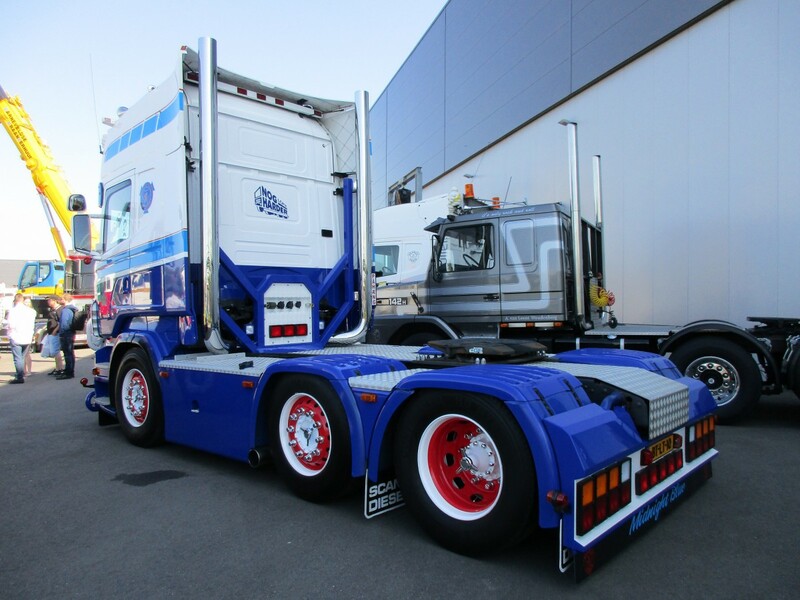 Some truckers even stretch their wheelbase further for looks and additional comfort. Meanwhile on European trucks all the cab is happening more or less on top of the front axle by necessity. Put someone on top of the front axle of a Peterbilt and he’ll have a terrible time. You do realize the F88 was originally developed for the US market – the influence of GM’s “Crackerbox” is obvious when you look at pictures of the prototype. Ultimately Volvo decided the time was not right for an assault on the American market, “Europeanized” the design and the rest is as they say history. Thanks for that interesting extra info and ditto pictures! 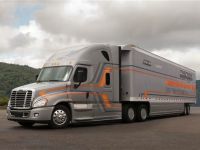 Ironically GM’s heavy truck division would end up in the hands of Volvo later on. The original concept I suppose lived in the Australian market G88, again looking very American with that set forward front axle. Sweet, from a country mile (or more) you can see right away it’s an Aussie tractor. 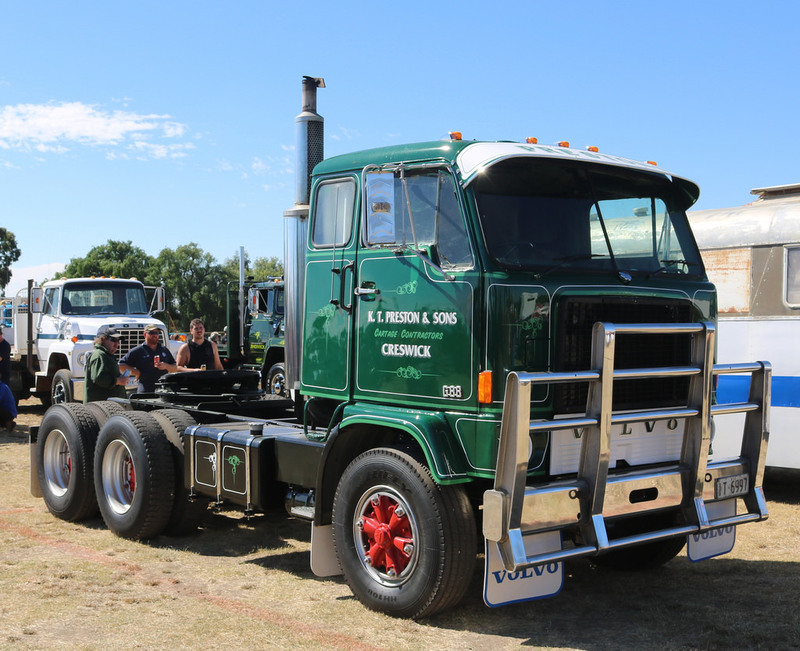 I remember seeing pictures of heavy Down Under-COE Scanias from the seventies with a set-forward front axle. That TIR sign takes me back to my childhood. Good stuff as always, Johannes. Europe ships much more freight via truck vs. rail. About 11% of goods go by rail in the EU-27 vs. 43% in the US.